Marvel has released a new poster for Thor: The Dark World, and sadly, it’s cluttered beyond all reason. The poster embraces the lazy “floating head” design, then crams in as many characters as possible (for those counting, this poster has ten characters on it). “Busy” doesn’t even begin to describe the visual, and while that can sometimes work to a poster’s advantage (like the final theatrical poster for Iron Man 3), it can also be overwhelming and a complete abuse of Photoshop (like the IMAX poster for Iron Man 3). 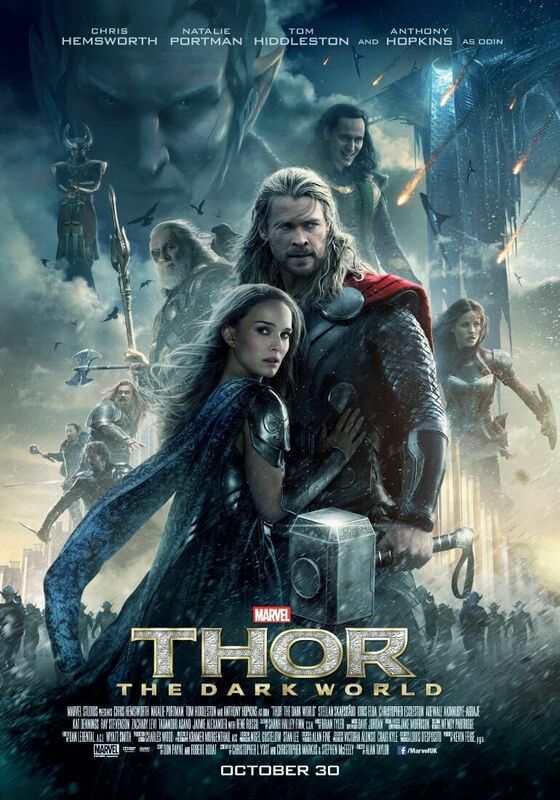 The only thing this poster tells me is that Thor is about to get pelted with tiny meteors. Hit the jump to check out the new U.K. poster. The film stars Chris Hemsworth, Natalie Portman, Tom Hiddleston, Christopher Eccleston, Stellan Skarsgård, Idris Elba, Adewale Akinnuoye-Agbaje, Kat Dennings, Ray Stevenson, Zachary Levi, Tadanobu Asano, Jaimie Alexander, Rene Russo, and Anthony Hopkins. Thor: The Dark World opens in 3D on November 8th.